Mansfield, Connecticut has issued a request for proposals (RFP) seeking companies to help design and develop two microgrid projects, as it prepares to apply for incentive funds through the state. Located about 30 miles east of Hartford, the town has a population of about 26,000 and is home to the University of Connecticut’s main campus. The town’s government plans to pursue one microgrid for town hall, a community center and a high school, and a second microgrid for a senior center, housing authority, middle school and public works garage. 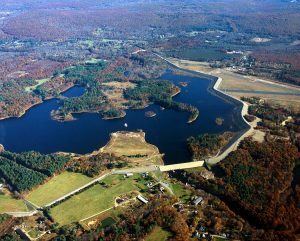 Mansfield seeks bids for the design of the microgrids and for preparation of a grant application, as well as installation, should the town win funding being offered through Connecticut’s Department of Energy and Environmental Protection. The state agency has made $30 million available for microgrid projects in its third round of microgrid grants. If it’s technically and economically feasible, the town wants the microgrids to use clean energy: solar, combined heat and power, fuel cells and energy storage. Some of these generation sources may be able to receive incentives through the state’s zero emissions renewable credit (ZREC) or low emissions renewable credit (LREC) programs. The program pays 7 cents/kWh over 15 years for RECs, according to the RFP. 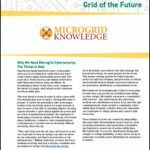 Mansfield foresees the microgrid’s generation operating under a long-term power purchase agreement (PPA). The RFP seeks a fixed PPA rate for the term with an escalator of no more than one percent. The town plans to choose a winner based on the company’s experience, technical approach, in-house capabilities, financial terms, ability to implement the project in a timely way, green and sustainable design, and oral interviews. In weighing financial terms, the town will look at how well the proposal minimizes risk and accrues economic benefits to Mansfield over the term of the agreement. The RFP was issued June 12. A mandatory pre-proposal meeting and site walk is scheduled for June 21. The deadline to submit proposals is 2 p.m. EDT on July 31. The town expects to select winners August 25 and sign contracts September 25. Issued June 12, the RFP is available on the Town of Mansfield’s website. Track microgrid projects by following us on Twitter @MicrogridNews.